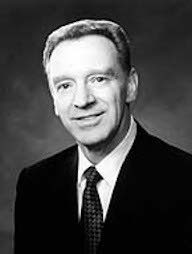 Sheldon F. Child is an emeritus General Authority of The Church of Jesus Christ of Latter-day Saints. He was sustained a member of the Second Quorum of the Seventy on April 6, 1996, and served in that quorum until April 4, 1998, when he was transferred to the First Quorum of the Seventy. He was designated emeritus status on October 4, 2008. He then served as president of the Salt Lake Temple until 2011. Child was born on May 8, 1938, in Ogden, Utah, and was raised on a farm in Syracuse, Utah. He attended both Utah State University and the University of Utah. He and his brother, Bill, a son-in-law of the founder of R. C. Willey home furnishings, worked in the company from the time it was a small appliance shop. He and his brother built the business into a successful chain that was bought by Warren Buffett in 1995. Child served for a time as president of the company. He has served in the Church and community in various capacities: he has been an elders quorum president, bishop, stake president, and area authority. He presided over the New York City New York Mission and when the mission was split, he continued as president of the New York New York South Mission. While serving in the Seventy, he presided over the Philippines/Micronesia area and later the Africa West area. In 2002, Child served on the interfaith roundtable of the Salt Lake Organizing Committee for the 2002 Winter Olympics. He and his wife, Joan, are the parents of six children. This page was last edited on 1 June 2017, at 14:05.